Version 1.6.4 of Sandvox is now available, and we’re encouraging everyone to download it. This free update includes a number of minor fixes, but the one that may be most noticeable is a required change to the Amazon List code to maintain compatibility with Amazon.com. Recent changes made by Amazon.com on their servers resulted in Sandvox not being able to properly display all products in a list. This release resolves those issues. We are also very pleased to announce that version 1.6.4 is now disponível em português do Brasil — available in Brazilian Portuguese. Thanks to the translation efforts of Paolo Neto, we can now say “Bem-vindo ” to the many Mac users in Brazil! We hope most of you have upgraded to Snow Leopard, or will soon. Sandvox has been compatible with Snow Leopard since our 1.6.3 release in July. Of course, this new 1.6.4 version is compatible as well. For those of you who also use iMedia Browser, our free application, note that it, too, is fully compatible with Snow Leopard. 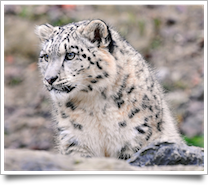 Snow Leopard Photo is (CC) by “Tambako the Jaguar” from Flickr. Sandvox Web Designs just released Bravado, a clean white design with twelve different color schemes for a bold, colorful header. (Their demo site shows all the variations.) As with recent SWD designs, Bravado comes with a number of goodies such as extra header images and code snippets. Bravado costs just $10 for the whole bundle on the SWD store. Blueball Design recently introduced Blueball Rezume, a design geared toward résumés, but we think they would look good in just about any context. With six color schemes that determine color accents, a white “page” and a neutral background, each variant comes in both normal and “wide” styles. The whole bundle costs $12.00 and is available on the Blueball website. And just a few weeks ago, SVDesigns — our newest design partner — released Fluency, a design package with ten inspired color schemes/banners. If you are looking for something with an artistic look, this may be a good place to start! Get Fluency for $12.00 from the SVDesigns site. But… when StomperNet’s new website launched a few days ago, and we saw what kinds of tools they were giving away, we realized that a huge majority of Sandvoxers may find this worth looking into! As part of promoting their membership program, StomperNet is now making their “Stomping the Search Engines 2” (STSE2) course — which we recommended a few months ago, and have made use of ourselves — available for free. If you are building a website and you want more people to find your site, a course like this is invaluable. If you are in Web-based business, the StomperNet membership product may be for you — feel free to go through their materials and decide for yourself — but we think that it’s worthwhile to nearly EVERYONE to get this course and the other resources they are making available this week for free. After signing up, look for the email with the subject “Access Granted: STSE2 is Now Available” for your link to the online videos. StomperNet is promising that this Friday (the 18th) and this coming Monday (the 21st) they will be pulling out all the stops with more free goodies, so check their emails or visit their site on those days to see what other bonuses they are offering before the launch. If you are using Sandvox for a business website (like we are with Karelia . com), you probably want as many people to take you up on whatever you are offering. But how to know what wording to use, what layout or design to use, what kinds of calls to action to place on your site for the most effective approach? A technique called “split testing” can be very useful to learn this. Use Page Code Injection to place this script on the page you are testing for action. Place it in the lower “Head Area” text field. On the same page, use Page Code Injection to place this script into the lower “Document Body” text field. If your test page happens to be a Raw HTML page (or you are testing a Raw HTML pagelet), you can place this/these section(s) directly using the Raw HTML editor. However, if your test page is a different page type, you will need to add this markup outside of Sandvox, since it is not possible to insert this non-standard HTML directly. You may want to edit your test page on your server after it has been uploaded. On the page you are hoping people will ultimately go to, such as a Buy or Download page, use Page Code Injection to place this script in the lower “Document Body” text field. Once you have your site published with these scripts, you can launch your experiment and find out which variations work best for your visitors! To your continued online success!